HOBOKEN, N.J., – The growing desire among today’s renting public to reside in upscale urban buildings that are energy efficient, sustainable and promote “green” living has played a key role in the leasing success at Park + Garden, the collection of 212 luxury apartments in the Hudson County City of Hoboken. Developer Bijou Properties, a recognized leader in the field of green development along New Jersey’s Hudson River Waterfront, has incorporated the latest eco-friendly features and environmentally conscience materials into the 12-story building to provide a clean, healthier lifestyle and satisfy this new generation of renters. It’s the same trailblazing philosophy the company has utilized to great fanfare in Hoboken where its effort to create a sustainable urban neighborhood on the City’s northern end is well underway. 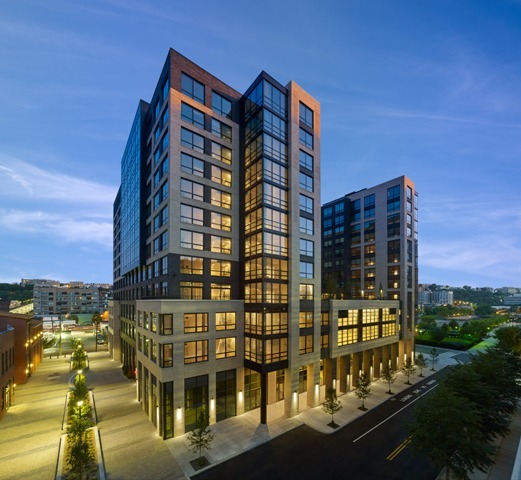 The fourth sustainable building introduced by Bijou along 14th Street, Park + Garden stands as a centerpiece of this exciting new residential and commercial corridor and a shining example of how renters increasingly seek out the ultimate green lifestyle. At Park + Garden, Bijou Properties has taken its innovative “green” development approach one step further by creating a building that not only provides eco-friendly homes, but significantly benefits the community-at-large with public services, amenities and sustainable events. 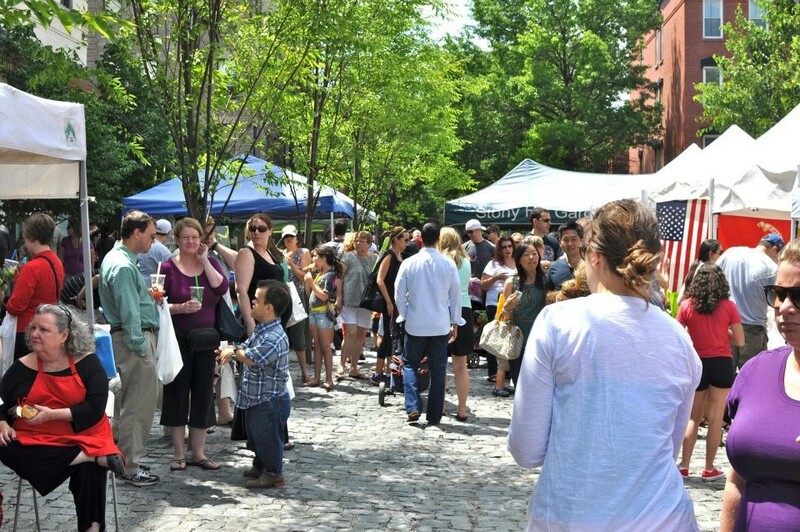 Garden Street Farmer’s Market is located at Garden Street Mews and takes places every Saturday from June to November. Filled with products from New Jersey farmers and the local Hoboken community, as well as festive music, the Farmer’s market was created by Bijou Properties to support sustainable agriculture, small businesses and make farm-fresh produce available to the community. Park + Garden has been designed for LEED® Gold certification and boasts innovative, environmentally-sensitive features to minimize its impact on the environment. These include a vegetated roof terrace that will reduce storm water runoff, a CHP (combined heat and power) module that produces hot water and electricity using a single natural gas fuel source, charging bays for electric cars and spaces for 200 bicycles. The heating, cooling and lighting designs, in conjunction with a high performance building envelope and the CHP module, aim to achieve a 20% reduction in energy usage based on industry standard comparisons. Located at 1450 Garden Street, the Park + Garden building features a collection of well-appointed one-, two- and three-bedroom residences complemented by first-class recreational amenities and services. Commuters will also appreciate its ideal location just steps from NY Waterway Ferries and NJ Transit express busses into New York City. Immediate occupancy is available. Designed by Marchetto Higgins Stieve, Park + Garden is the first large-scale rental building to open in Hoboken in years. The mixed-use design features two 12-story residential towers connected by a podium consisting of a lavish amenities center and an enclosed parking garage. There’s also 13,000 square feet of street-level retail space and 32,000 square feet of educational space. Thoughtfully-designed residences feature high ceilings, oversized windows, walk-in closets, bamboo flooring and kitchens with granite countertops, sleek cabinetry and Energy-star stainless steel appliances, Select homes boast spectacular views of the Manhattan skyline. Fully-furnished model homes are available for prospective renters to see. A full suite of recreational and social amenities will enhance residents’ lifestyles, including an attended lobby, state-of-the art gym, multiple club rooms, courtyards, outdoor pool and landscaped deck, additional laundry facilities, bike storage and a 383-car on-site fully automated parking facility. Renters will also have access to a shared multi-use recreational room/basketball court. Situated directly across the Hudson River from midtown Manhattan, Hoboken is well-known as one of the most dynamic City environments along the Hudson County “Gold Coast” with a bustling main street, exciting nightlife and well-rounded recreational and social opportunities. Park + Garden offers a pedestrian-friendly design with a private street entrance to create an intimate atmosphere while allowing residents to fully embrace all the elements of this walkable residential setting and its easy access to mass transportation. “Uptown Hoboken blends the vibrancy of an urban environment with a family-friendly atmosphere featuring multiple parks, playgrounds, new athletic fields and the scenic Hudson River Waterfront Walkway,” says Jacqueline Urgo, President of The Marketing Directors, the exclusive leasing and marketing agent for Park + Garden.